Former light heavyweight world champion Jean Pascal, has stated that he has fixed the flaws that cost him his first fight with WBA/WBO/IBF 175 champion Sergey Kovalev, and that his hook up with esteemed trainer Freddie Roach will be the difference maker in their Jan. 30 rematch. Pascal was stopped by Kovalev in 8 rounds back in March before going on to a controversial decision victory over Yunieski Gonzalez in July, yet claims that now he has the wisdom of Roach in the corner, he will be ready to effect a different strategy when Kovalev returns to his Quebec backyard next month. “This bout is about redemption for me,” he said. “Kovalev was the better man on March 14. I’ve watched the fight many times. I know what needs to be fixed, and on Jan. 30 my performance will speak for itself. “I put him down in the eighth round in the first fight, but [the ref] called it a slip. But I promise you that Kovalev is going to have a full plate in the rematch. “I’m going to have a full plate as well, but I have a new trainer [in Roach]. I’ve changed things. I’ve improved in ways that Kovalev cannot even imagine. I’m going to break up the party. 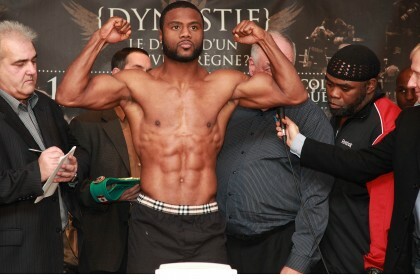 I’m going to teach him respect and to respect Canadian boxing fans, ” he added.